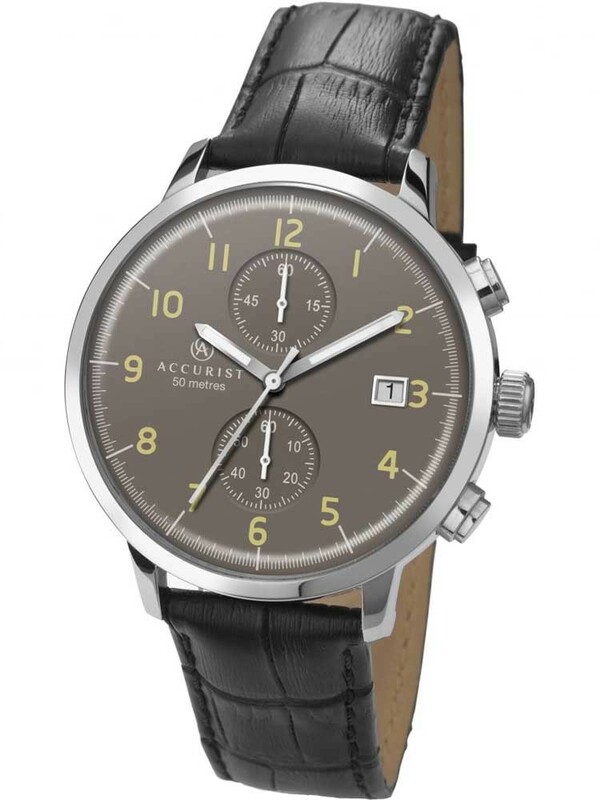 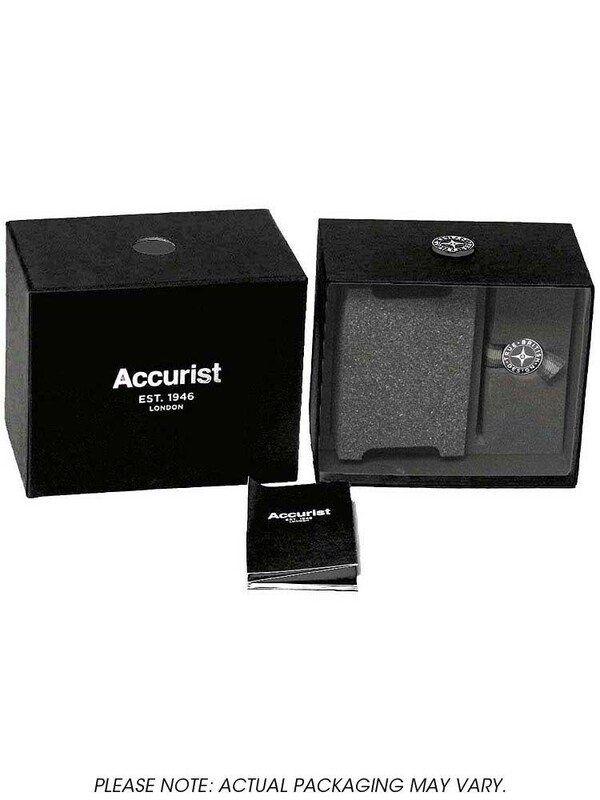 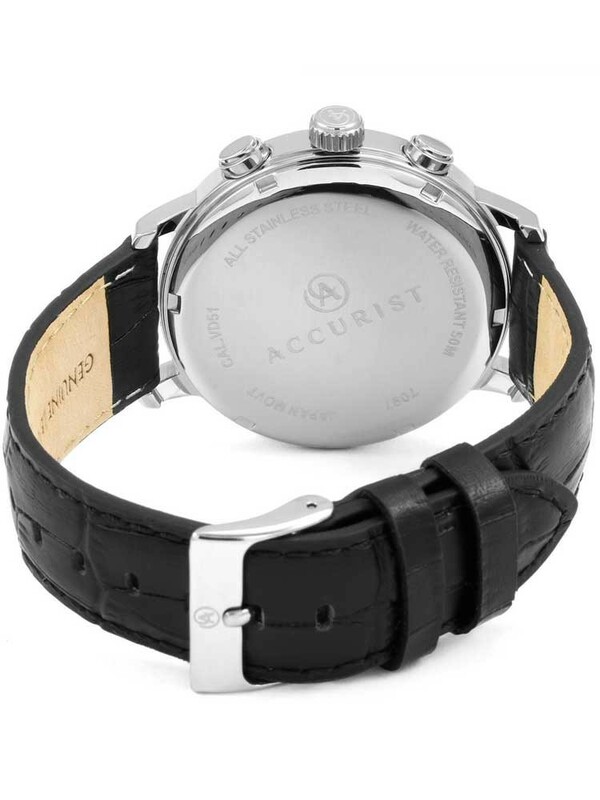 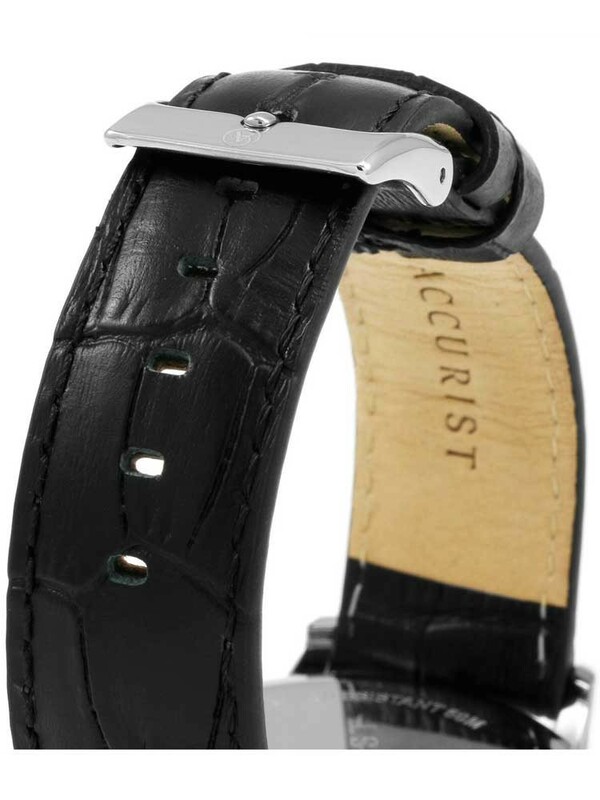 A timeless watch from Accurist, featuring a comfortable black leather strap attached to a stainless steel case. 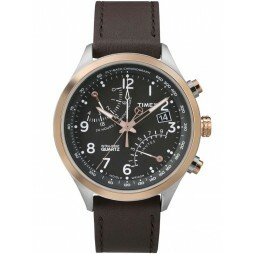 The brown dial features clear to read Arabic numeral hour markers with chronograph subdials. 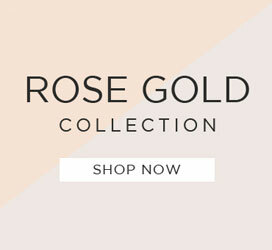 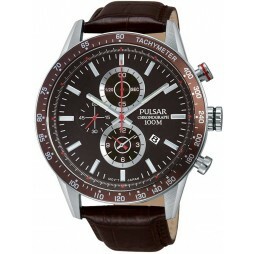 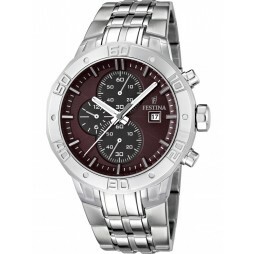 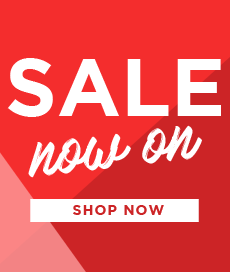 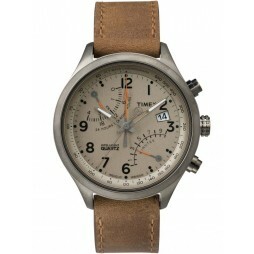 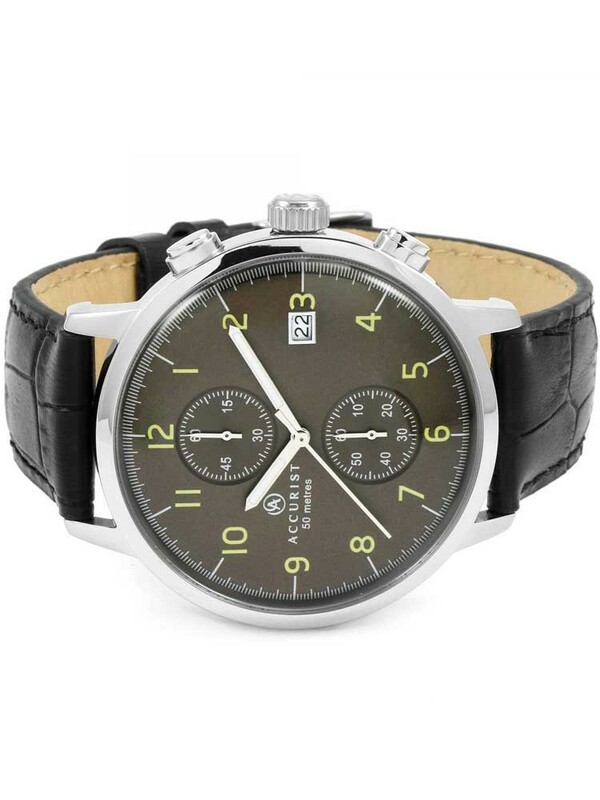 A great mens watch that is practical and stylish.